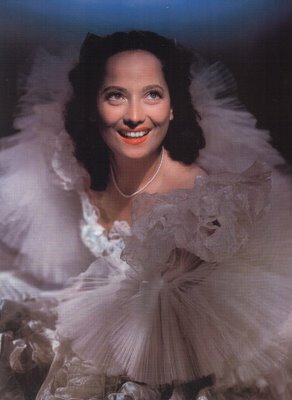 A friend of mine from school used to be a dedicated fan of Merle Oberon. He thought she was sheer perfection. Back in the late sixties, he’d order stills of her from Movie Star News in Manhattan, and when her movies turned up at 4:00 a.m. on some obscure New Jersey TV station, he’d either stay up all night, or set his alarm, to see them. When Hotel surfaced at a local drive-in around 1968, he celebrated his recent acquisition of a driver’s license to go there alone, during a rainstorm, to watch his idol. Because his windshield wipers tended to obstruct a clear view of Merle, he got out and stood beside his car to watch the show, all the while holding his umbrella to guard against the elements. Now that story is by way of illustrating just how powerful an effect some of these actresses had in their day. For my friend, at least, the Magic Of Merle reached years beyond her own era of prominence, for she was well into semi-retirement when he first discovered her. Merle’s biggest problem lay in the fact that she didn’t make many important pictures. If you take away Wuthering Heights, the woman’s pretty well stripped naked. I personally like Divorce Of Lady X, Lydia, A Song To Remember, and a few others --- and of course, The Lodger is an all-time favorite. Now if they had put Merle’s real-life story on the screen, that would have really been something. As a matter of fact, they did tell it once --- in the TV movie, Queenie --- which was actually a fictionalized story suggested by her life. Good luck trying to figure out the origins of Merle Oberon. All evidence suggests she didn’t even know all of truth. One thing was certain. This woman had lots to hide about her background, especially in a day when uncertain racial origin could erase a career. Oberon was still dishing fiction about her beginnings right to the end, way beyond a point where it mattered. That was 1978, when she was invited "back" to her supposed birthplace in Hobart, Tasmania, hosts alarmed to find no record of Oberon having been born in Hobart. Local press took a close interest, and Miss Oberon beat hasty retreat back home, avoiding inquiry that awaited her now-cancelled appearances. Within a year she was dead, having withdrawn from public life with her last husband, much younger actor Robert Wolders. Some Australian producers later got interested in her story, exposing more of a spider's web re those early years. 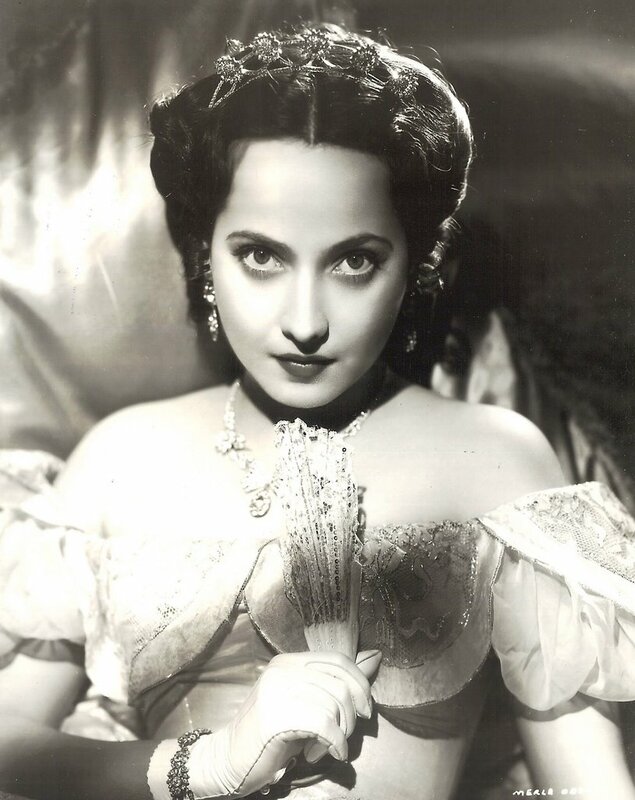 It had been rumored she was "half-caste", with an Anglo father and an Indian mother. 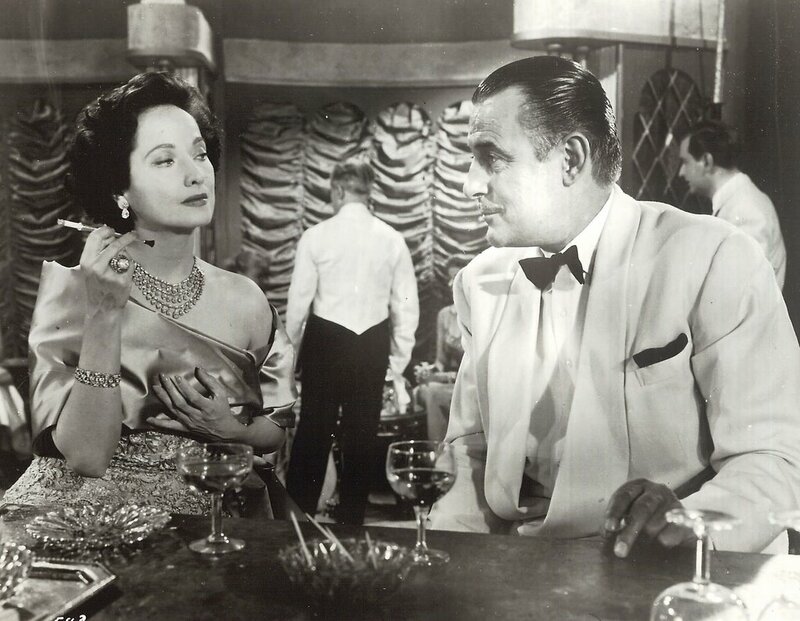 Merle had brought a dark-skinned personal maid when Hollywood beckoned, and yes, it was Mother assuming that role for what was left of her lifetime. Merle had grown up on the "shabby streets of Bombay," had lived by wits, or off largesse of wealthy men, from early on. She was "Queenie O’Brien" in club hostess days. Further myth claimed she actually came of Chinese heritage, a "Lottie Chintock" the actual birth-mother. There might too have been a sister who turned out to be the mother, plus two or three possibilities for the the father (a certainty: Merle was born out of wedlock). This still at top shows irresistible Merle disrupting staid life of Laurence Olivier in an Alexander Korda comedy, The Divorce Of Lady X, of interest because both look fine in Technicolor, Olivier haughty and priggish as I prefer him at this stage of a long career. 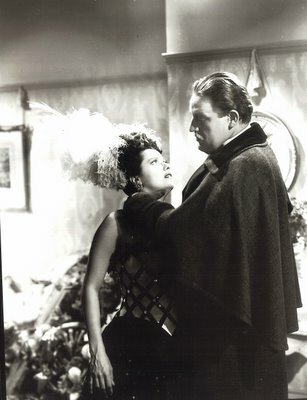 They would re-team in the same year’s Wuthering Heights, accounts saying Larry was mean because he preferred Vivien Leigh to play opposite him. Olivier could be priggish in that first decade of screen work, as he'd readily admit during elder statesman interviews. The lush color portrait is from Lydia, a woman’s story she did (also for Korda) in 1941. Mainstream hits like The Lodger and (especially) A Song To Remember kept Oberon's name afloat through the 40's, but a following decade would find her treading water on television, a fate dealt to any number of stars on a wane. She is with Tom Conway above in something called Assignment: Foreign Legion. Oberon married well and didn't need the money, was a social success among international jet-setters, and by all evidence a popular hostess. She probably had as spectacular a jump from humble beginnings as anyone who worked in movies, having more than perfected the art of concealment with regard background and parentage. She lived, then died, just short of changed times where that no longer would matter. Just think--the original Bollywood star. Ben Feingold, president of Sony Pictures Home Entertainment will never release any of these classics. I'm shocked that the Keaton set got past that man. He needs to go. Merle's story is amazing, I did read once that she used to have acid peels on her face quite often, and once she was scarred and it tooks months for her to return to movies. Don't know if it's true, but her story is so fantastic and any extras are like dollops on the cake. I loved her a Kathy in Wuthering Heights. Merle Oberon was also an Academy Award nominated actress. 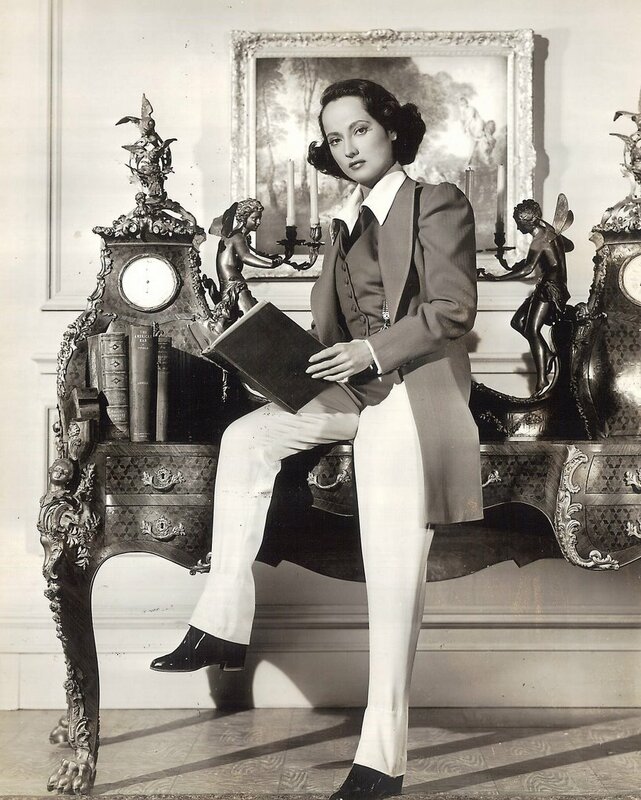 She had received a nomination for Best Actress, for her performance in the 1935 movie, "The Dark Angel". 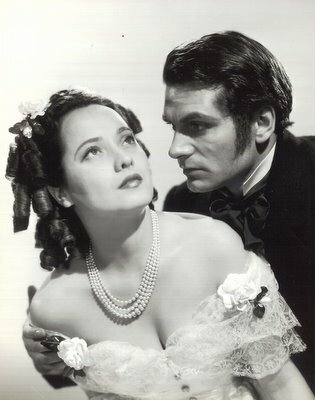 And I also loved her in "Wuthering Heights". Ah, but I think you also failed to mention, dear boy, one of the Lady's very best -- also for Goldwyn -- 'These Three' -- She'd make anyone stand outside -- with or without umbrella! (Thanks again for the kind words)R.J.
Merle was a gorgeous and capable actress, under the right direction...haters seem to be everywhere, but I love her and I think she had one of the most exquisite faces in film. Don't make fun of her forehead - it was aristocratic looking.